The Urban Concept Gasoline Car was driven by a gasoline powered 50cc Yamaha scooter motor. 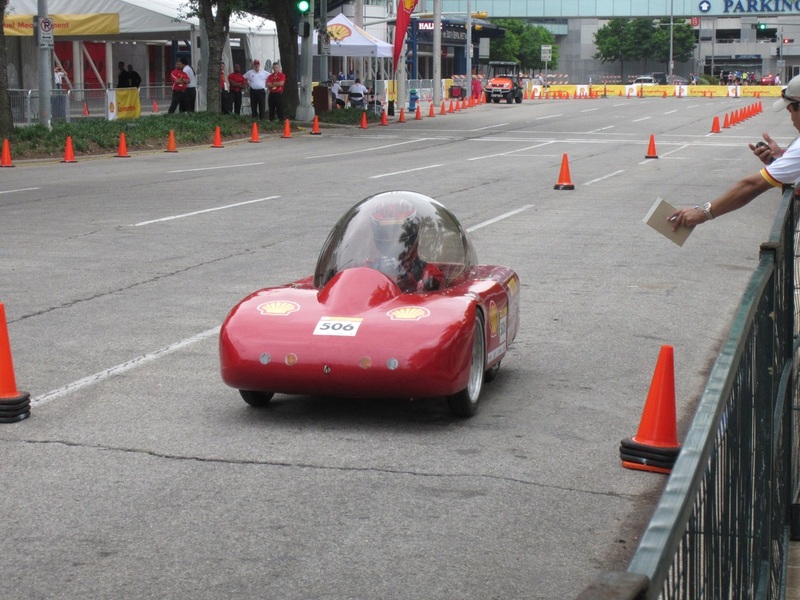 The car received many first place award in its category. It consisted of a fiberglass front nose and shaped aluminum sheets for the rest of the body. The car competed in the urban concept category which has all the more practical features of cars that might be found on the streets in the near future. The performance is measured in MPG and achieved it best mpg of 611 running on standard gasoline in 2012. Since Elroy was built in 2013, George has been retired.